I don’t believe so, because after the first round of battle, all submarines that remain are considered detected. AAR rules take precendence. The only round that detection affects is the very first round. Detection determines if a sub can dive after opening fire in the first round of battle. Detection does not affect first strike capability. After the first round (where detection is involved), all standard LHTR rules with resepct to Subs and DDs are in effect. What does LHTR say? enemy submarines cannot submerge while your destroyer is present on the battle board. containing an enemy destroyer, it must end its movement there. Sneak Attack: Submarines always fire in the opening fire step, whether on attack or defense. submarines may also withdraw by submerging. transports may load or offload there. but does not prevent an attacking submarine from retreating on the surface. Some optional play for 1914 fans. Modified rule 12/22/17 to denote that 8 markers are given to each side for play. “House Rules” changes or additions to Axis & Allies: 1914 To better balance play between the Allies and the Central Powers, to improve historical accuracy, and to add a new Irish rebellion option. This is how I will play A&A 1914 henceforth, chez moi. Germany Set Up Add a German Cruiser and Transport to Sea Zone 24 and a German Cruiser in Sea Zone 26. The Germans had a respectable navy operating in the South Atlantic and in the Pacific in 1914 and there were running sea battles between German and British flotillas during this time in these regions. The game should reflect this, and it also adds a necessary element of tension in what is otherwise a complete sideshow (Africa) where the UK and France are not challenged at all. Movement: ENTRAIN Once a turn, before resolving combat, a player may move any number of pieces from one single space directly along a path of contiguous spaces to his capital, as long as the capital is uncontested and the route is not blocked by hostile or contested territory. Any sea spaces involved also must be free of all enemy naval units and also contain at least one friendly Transport ship. This movement must end in the capital; units may not stop elsewhere en route. This reflects nations’ abilities to transfer troops rapidly along a rail system from front to front, as happened regularly during the war, particularly for the Germans for their big 1918 offensive after their Eastern Front stabilized; the current game, with its slow movement rates, makes this impossible. Submarine Sneak Attack Submarines always have a “first shot” ability when attacking or defending and then the option to submerge after any round of combat. Submarines as defenders only hit on a roll of 1. Hits by submarines are inflicted before returning fire. Submarine versus submarine combat is considered simultaneous, as per normal combat. 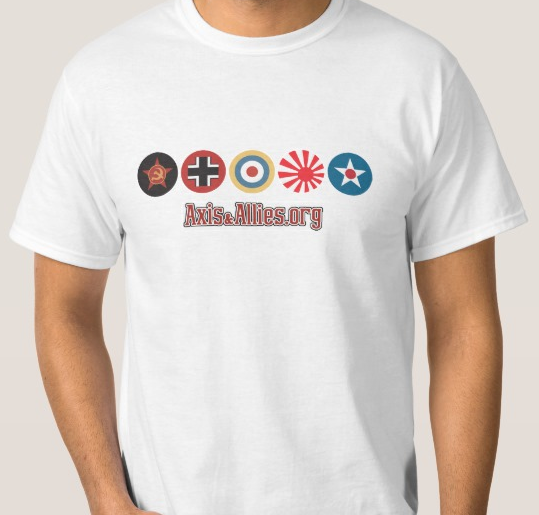 Similar concept to “regular” A&A (WWII). I don’t know why the 1914 game doesn’t allow for “sneak attacks.” It was even harder to detect or avoid enemy subs in WWI than WWII. And Germany badly needs this equalizer. Swiss Mobilization If Switzerland’s neutrality is violated, it mobilizes 6 units (1 artillery and 5 infantry) hostile to the invaders. Switzerland’s IPC value remains at 1. Switzerland preserved its neutrality through two world wars by deterring attackers who would have faced a nation fully in arms and prepared to resist from many mountain strongholds and fortresses. The Swiss should be much harder to subdue than this game provides and a special rule is in order, especially given the game board’s layout that makes Switzerland an overly tempting target out of proportion to to geography. Russian Revolution The Russian revolution rule is always in effect, not merely an optional rule. If the Revolution occurs, Russian IPCs are returned to the bank, not awarded to a player, but the Central Powers DO get credit for “capturing” a capital (Moscow). The Revolution knocks Russia out of the war and it’s silly to punish the Central Powers by denying them credit for this. Revolt in Ireland No non-British Allied land or air units are permitted in Ireland. The German player may invest a total of 3 IPCs during each Purchase Units phase in hopes of fomenting an Irish rebellion – similar to the technology tables in early edition A&A, 3 IPCs spent buys ONE immediate die roll THAT TURN only (i.e., the spent IPCs are not retained or carried over to succeeding turns). Having any German ship adjacent to Ireland at this time provides a +1 to the die roll for this check. If a modified roll of 6 is rolled on a die, Irish nationalist republicans revolt. Irish rebellion is also automatically triggered by any German land unit present in Ireland at the end of a German turn.+ If Ireland rebels, immediately place two infantry figures in Ireland under the control of the German player; these represent Irish rebel forces hostile to Great Britain. If Great Britain loses control of Ireland or Ireland is contested, at the start of each British player Purchase Units phase the British player forfeits as many IPCs as there are enemy units in Ireland directly to the German player, up to a maximum of 8. If Great Britain loses control of Ireland and Ireland is not contested Ireland becomes controlled by Germany and Germany receives its IPC value. At the start of each German turn that Ireland is controlled by Germany or contested, another Irish rebel infantry figure is placed in Ireland, up to a maximum of four rebel infantry units. Only infantry units are raised as Irish rebel units but there is no limit to other nation’s units that can be moved to Ireland. Irish rebel units may not leave Ireland. Ireland will only revolt once in a game. This rule simulates the complicated political situation existing in Ireland during WWI and the historical “Easter Uprising” of 1916. Because German submarines were often used to smuggle weapons and personnel to Ireland during this time, and German invasion prospects encouraged the Fenians, the presence of German naval units increases the chances of rebellion. The USA and France traditionally sympathized with Irish republicanism and their governments were not likely to agree to their militaries forsaking the war against Germany to suppress Irish nationalism. New approach to sub warfare. Subs carry 8 torpedeos and destroyers carry 9 depth charges. Subs can fire 2 torpedeos and destroyers can fire 3 depth charges a turn. Sub attack at 5, defend at 4. Destroyer attack and defend at 4. Subs can be submerged when firing. This is using a 12 sided die. For those of you who love Enhanced, now is the time to prove your skill in a tournament over at AAMC. We need two more players or the tourney will be cancelled. sign up here: http://aamc.net/bunker/forumsql/forum/forum_posts.asp?TID=1641 Thanks and good gaming! @Imperious: heres some manageable rules to use: I most like the part about destroyer and crusier negate submarine’s preemptive fire on a 1-to-1 basis (rather than unlimited in AAR). Simple enough to implement for even first time players. Yet quite effective in improving gameplay dynamics. Billy V Toys 1:72 scale figures. @CWO: @toblerone77: Korean Troops. Hmm…I note that some of the troops lack hands, arms and heads.Â I assume that these body parts are provided separately in the package for attachment with glue, and that these figures aren’t supposed to represent soldiers who’ve been severely wounded in battle.Â How well do these figures fit alongside A&A troops in terms of scale? They Americans a bit beefy compared to the Axis players but so are the Germans. You could probably snap the two piece figures together but I’ll be glueing them. I will also probably prime, paint, and dip thess guys too. I’m not sure what I’ll do with them yet. They were a steal at six bucks and I couldn’t pass it up. The Koreans with AKs just fit the part of some kind of insurgent, and I couldn’t resist buying them. The Easy Company Americans have guys dragging parchutes and really might come in handy. The Korean era Americans have M-14s, M-1 Gerands, and M-1 carbines. When I get a minute and get the guys off thier runners and cleaned up I’ll post pics. @Zombie69: Even though I don’t like house rules in general, I like the OP house rule in conjunction with the HR that allows submerging after one round against DD. The first HR makes subs a little weaker (can’t be used as fodder against planes) while the second makes them stronger (by letting them survive more battles). All in all, I think it balances out. It also has the advantage of being elegant and easy to use. Glad you see it that way. A still more simplified HR could be that keeping all OOB DDs rules with Subs and planes, each sides which have Destroyers must say whether or not Subs will be targeted in priority by planes. If not, then anything but subs must be selected as planes casualties (unless their is nothing else except transports) by the owning player.